Omni Cable 22/3 Instrumentation multi-conductor cable in gray color, has a voltage rating of 300-Volts. It has an outside diameter of 0.196-Inch. This 500-ft 7x30 stranded tinned copper cable has black/clear/red colored polyethylene insulation with 0.016-Inch thickness and 0.033-Inch thick PVC jacket. 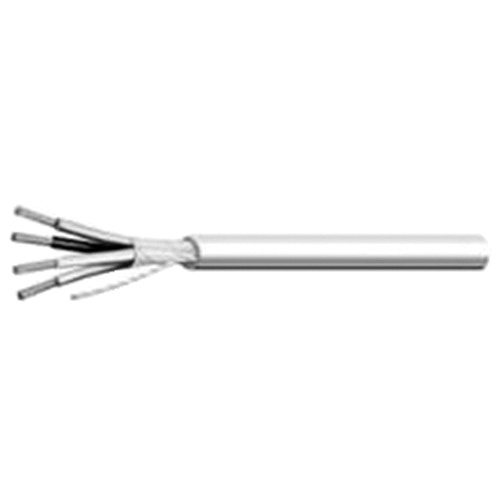 The cable features 100% aluminum/polyester with stranded tinned copper drain wire shielding. It withstands a temperature rating of 60 deg C. It is suitable for computers, communications, instrumentation, sound, control, audio, data transmissions, designed to protect signal integrity under critical conditions by reducing noise. Cable meets CEC CM and NEC CM standards.